After test driving the car. 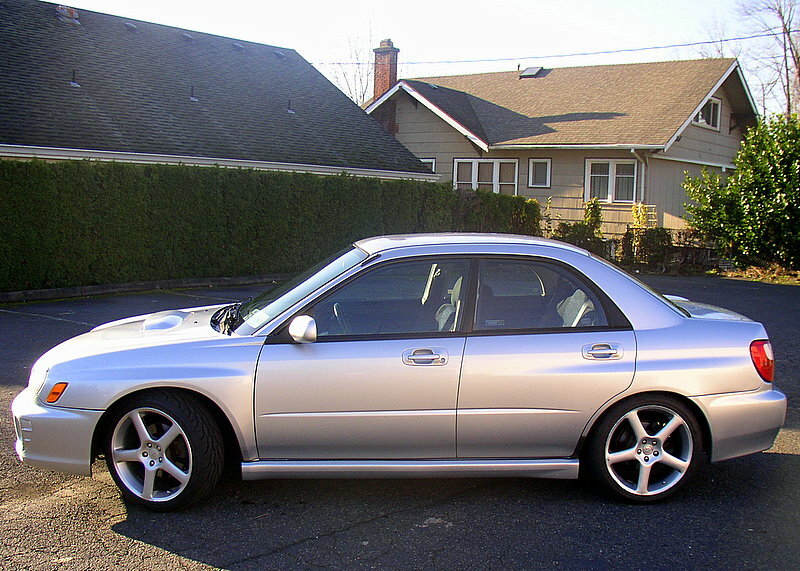 Jeff purchased the 2002 Subaru WRX sedan in Fall of 2005 with about 100k miles. The Subaru was stock It was off to Rallitek to get the Stage 2 Tuning done. The boost was changed from 14.5psi to 17PSI and the fuel map was reconfigured. It was an amazing difference from stock!